Uber is a smartphone app which provides on-demand service to users. It connects willing passengers to taxi cab drivers. Taxi drivers use their own cars when providing taxi service and Uber gets 20% of the fare. The total process is very simple, registered Uber users asks for a taxi using the Uber app, an Uber driver then dispatched to the passenger’s location and assist the passengers to reach his destination. The passenger’s credit card is used as the sole payment method. Currently, this service is available in 200 cities across 55 countries. Uber is expanding its business and users in some cities can call an ice-cream truck to purchase ice-cream or even a helicopter for a ride. According to the experts, Uber will generate $10 billion in revenue in 2015. Uber is not any traditional taxi business because it doesn’t employ any taxi drivers or owns any taxi. Uber basically connects the passenger and taxi driver and takes a percentage of the fee from the fare. The Taxi Driver - Anyone with a driving license and a car can apply for an Uber driver in any Uber covered cities. After screening, the driver is enlisted in the Uber system and given an Uber iPhone. This provides a steady income to anyone with a car without additional hazard or investment. The Passenger - Registered Uber users download the Uber app to their phones and if they need a taxi, they call a taxi via the Uber app. They can also track the taxi on their phone as it approaches. This service is convenient for the passengers, provides them relatively low cost comfortable service. 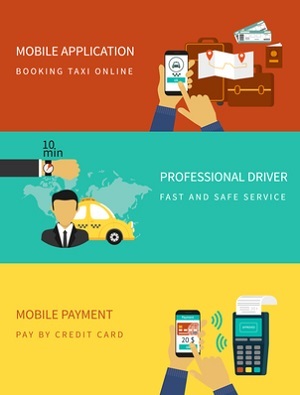 Fare and Payment - Uber set the taxi fares. Premium fare during peak hours and flat rate for off peak hours. Passengers pay through their credit cards and don’t have to pay any cash to the drivers. The fare is based on car type, distance and peak hour. Payment is secure because passengers pay only via credit card using Uber app. Dividing the Profits - Uber divides the fare, usually 80% to the driver and 20% to Uber. Even after a 20% pay cut, the taxi drivers earn more than the traditional taxi services. In some cities Uber had to reduce its percentage because of competition from similar companies like Lyft and Haio. It is estimated that Uber have to lower its profit in all the cities it operates in coming months. Future Growth – At present, Uber doesn’t own any taxi and because of that Uber can show a higher amount of its earnings as profits. Uber needs to invest in research and development for future growth. The initial reinvestment will be a modest amount, but enough to slow down future earnings. In addition, legal and regulatory issues will increase costs. Growth opportunities for Uber is vast, it already covers 200 cities in 55 countries and will progress to dozens of new cities within a year. Uber app is user-friendly, fast responsiveness from servers and systems and minimal glitches make Uber exceptional. Calling a taxi cab with the smartphone is easy and any passenger can benefit from it. Uber has no previous competitors in the taxi service business and established a solid infrastructure, branding and consumer trust. Uber is plagued with liability questions and insurance issue, more than any other start-up services. Lawsuits from taxi companies and unions in several big cities including New York, kept Uber engaged in regular court battles. There is a demand for such service, but overhead cost and costly legal battles threaten the business. When starting a new business, you can’t be afraid of disrupting others business and receiving criticism. In most cases, owning inventory is a liability and the Uber model of business is such a relief in this regard. 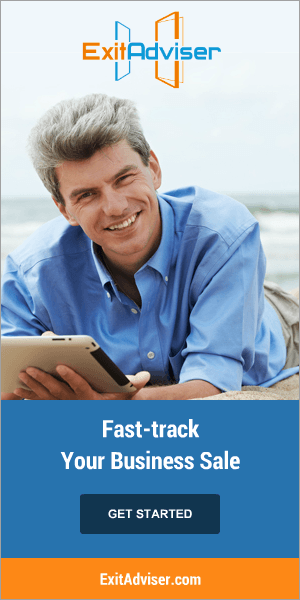 Use internet for new business and growth of present business. Deliver a swift and efficient service and charge at least 15% commission for any transaction. Take full advantage of free market economy. There is no such thing as bad publicity, Uber’s frequent visits to the courts, actually helped the company to grow. Uber is a highly profitable company and revenues are doubling every 6 months. It has far better expansion opportunities than most of the Fortune 500 companies. Armin Laidre is a co-founder of ExitAdviser — an end-to-end business-for-sale platform for small business owners.